Historic. Unprecedented. Devastating. No word seems strong enough to describe Hurricane Irma — one of the most powerful storms ever seen in the Atlantic. Hurricane Irma is the strongest Atlantic basin hurricane ever recorded outside the Gulf of Mexico and the Caribbean Sea. It lasted as a hurricane from August 31 until September 11. The storm, which stretched 650 miles from east to west, affected at least nine US states, turning streets into rivers, ripping down power lines, uprooting trees and cutting off coastal communities. On September 6, Hurricane Irma left a string of small Caribbean islands devastated. The eye of the hurricane passed over Barbuda, damaging about 95% of the buildings on the island. 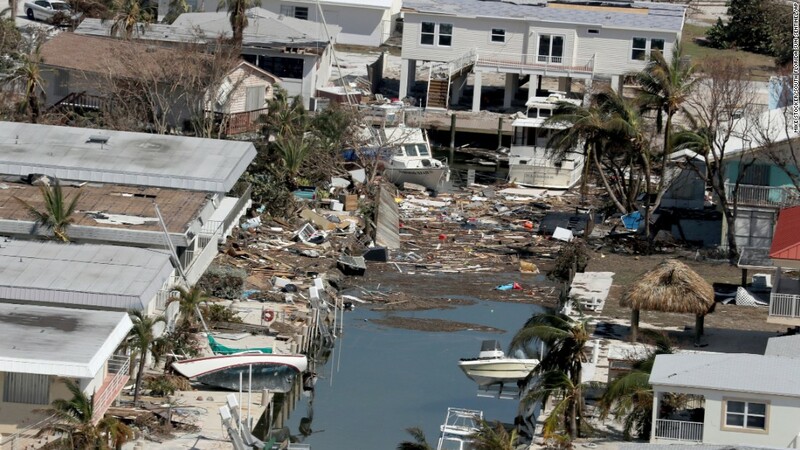 The hurricane hit southwest Florida on September 10, battering the state’s lower half and leaving a trail of tornadoes and storm-surge flooding as its core slowly moved inland. The massive storm triggered evacuation orders for 5.6 million people before it made two landfalls. On Monday, Irma was downgraded to a tropical storm as it lumbered through Georgia to parts north. By Tuesday, Irma had left a trail of deadly devastation throughout the Southeast, flooding major cities including Jacksonville, Florida, and Charleston, South Carolina, and leaving millions without power.